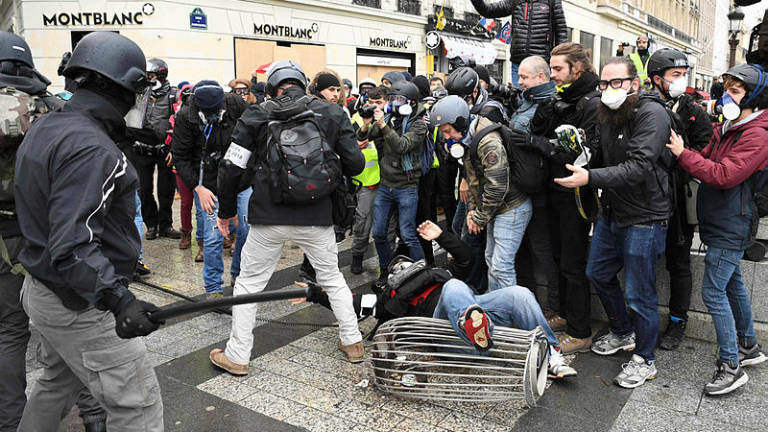 08 Dec 2018 / 19:10 H.
PARIS: French riot police fired tear gas canisters at “yellow vest” protesters in central Paris today at the start of a planned demonstration against the high cost of living under President Emmanuel Macron. About 89,000 police were deployed across France today, some 8,000 of them in Paris. Much of Paris looked like a ghost town today, with museums, department stores closed on what should have been a festive pre-Christmas shopping day.